A.D. Ventures is a media company started by Andrew Duncan. 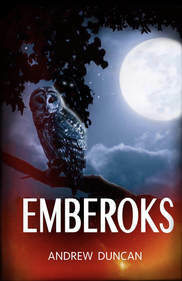 It was established in late 2009 with the introduction of Andrew Duncan’s novel, Emberoks, a fiction book (or is it?) for readers who are not too old for a good fairy tale. Why a media company rather than a publishing company? Projects beyond fiction and non-fiction literature will include video, film, audio, screenplays, stage plays, and art of all mediums.